A passionate engineering student is making his education dreams come true, and helping others through their studies at Coventry University – ahead of a new bursary to help Nigerian students excel in engineering and business. Adolphus Chukwunonso Duru left Nigeria to study for a BSc in Combined Engineering at CU Coventry – graduating with a first before enrolling on a master’s course at Coventry University this year. From an early age, the engineer said he wanted to connect things – wires, people and even dreams. Now studying for an Electrical and Electronics Engineering MSc the 25-year-old said Coventry University has helped him achieve these dreams and open up opportunities. Now hoping to study for a PhD and with dreams of entering politics to use his education for good, Adolphus is encouraging others into higher education. He said: “My year as a postgraduate student has been amazing and helped me develop skills in research and self-dependency – because there is a lot more to postgraduate study than reading and getting a distinction. “You can indulge in leadership and career related activities as well, so it is a brilliant choice to make you more marketable in the career world. “Coventry is a beautiful university in a very beautiful city. It has a very diverse community and although I’ve been away from home for so long, I feel at home. I miss my family, but support from staff has been phenomenal. 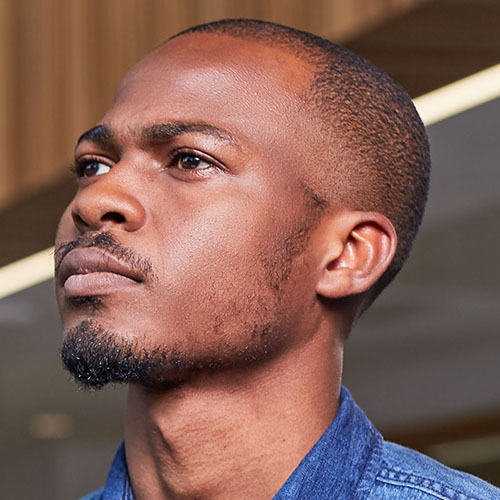 In his spare time, Adolphus is a Postgraduate Ambassador, and a Postgraduate Taught Officer at the students’ union where he helps students resolve issues. He is also a Senior Course Representative, and Secretary and Treasurer of the regional Institute of Engineers and Technologists Young Professional Network. Being so active in the university not only builds employability opportunities but allows him to meet new people and experience new things almost every day. After graduating from CU Coventry with a first, Adolphus received £1,000 off his PG fees, as well as a Higher Achievers Award of £2,000 for Excellence. Students can now apply for bursaries of up to £6,000 to study at Coventry University’s Faculty of Engineering, Environment and Computing (EEC) through the Nigeria Development Fund which supports development of the country’s economy through education. The bursary offers financial help to undergraduate and postgraduate students joining Coventry University’s EEC faculty, or Coventry University London in January, April and May 2018. Students applying to study at EEC could receive £2,000 off their fees for every year of study – £6,000 in total for an average undergraduate course. Students applying for a course at the London campus will receive a total of £4,000 off their first year fee. Coventry was this year ranked Gold in the Teaching Excellence Framework (TEF) and has risen in the Guardian Good University Guide 2018. Explore our January 2018 courses further.